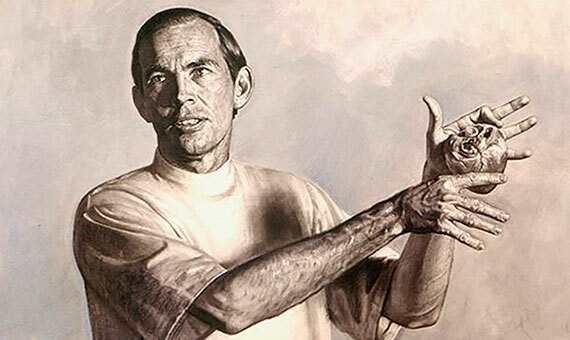 The young South African Christiaan Barnard (8 November 1922 – 2 September 2001) dreamed of going far. 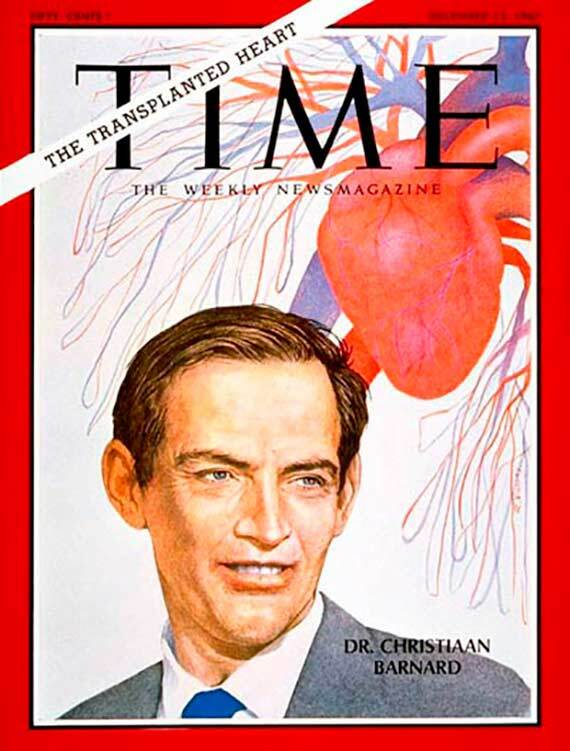 After a difficult childhood, he made his dream come true by becoming the first surgeon to perform a heart transplant on 3 December 1967, fifty years ago. Imitated and envied by many, Barnard was a figure as much admired as polemic, a man who enjoyed worldwide fame that he reaped by struggling from an early age. He and his three brothers had to survive on the meagre income of his father, a pastor of the Dutch Reformed Church in South Africa, who earned twenty pounds a month. Their mother was demanding but instilled in her children the belief that they could do anything they set their minds to. Following this philosophy, as a child he excelled at school. He ran a record mile in bare feet because he had no shoes and was one of the brightest in his class. “The most unfortunate people are those who have been given everything and have nothing to look forward to,” he said in an interview in 1979, when he was a famous surgeon. After obtaining a degree in medicine in Cape Town in 1946, he worked as a family doctor in a small village, but decided to return to the faculty to specialize in congenital defects and intestinal diseases. Surgery would enter his life in 1955, when he got a scholarship to study general surgery at the University of Minnesota (USA). The financial aid was so tight that he had to shovel snow, mow lawns and wash cars to make ends meet. Amazed by the open-heart surgery that was being developed in Minneapolis, Barnard decided to continue training in the United States to become a cardiac surgeon in his country. Returning to South Africa in 1958, he was appointed head of the department of Experimental Surgery at the Groote Schuur Hospital and obtained a position in the Department of Cardiac Surgery at the University of Cape Town—his younger brother Marius, also a doctor, was part of his team. 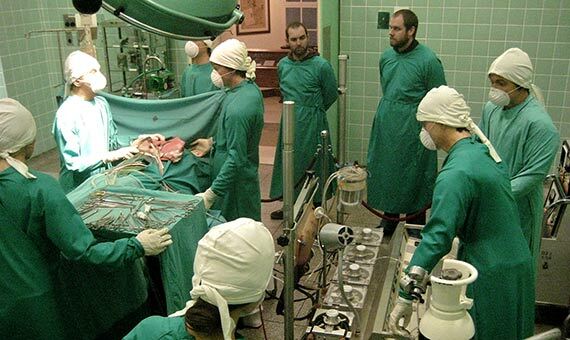 After performing dozens of heart transplants on dogs, on 3 December 1967, he would go down in history as the first to perform a human heart transplant. The recipient was Louis Washkansky, a 54-year-old diabetic shopkeeper with incurable heart disease. After several potential donors were discarded, on 2 December the young Denise Darvall, 25, was hit by a car when crossing a street in Cape Town. Upon her immediate transfer to the Groote Schuur Hospital, the doctors discovered that she was brain dead but that her heart was in good condition and she had the same blood type as Washkansky. Thirty surgeons led by Barnard got down to work and in five hours they successfully completed the first heart transplant in history. However, the joy only lasted 18 days because the patient died of pneumonia. The high doses of immunosuppressive drugs that he was given to prevent his body from rejecting the new organ prevented him from coping with the lung infection. “I have never felt so lonely as the morning Washkansky died,” Barnard confessed in an interview. After the first transplant, he performed the second one only a month later and got the recipient, a dental surgeon who had his dose of immunosuppressant drugs lowered, to survive 19 months. His feat was imitated by specialists from all over the world and, with the passage of time and thanks to technological and medical advances, they achieved much greater survival rates. BBarnard continued to operate until 1983, when his rheumatoid arthritis prevented him from controlling his fingers with precision. But that did not stop him from staying in the limelight, showing the public his good and bad sides. A lover of fame, married on three occasions and father to six children, in the final decades of his life he devoted his efforts to medical research in Germany, the United States and Switzerland. Concerned about aging, in 1986 he promoted Glycel, an expensive skin cream claimed to rejuvenate cells, whose approval was soon withdrawn by the United States Food and Drug Administration, seriously tarnishing Barnard’s reputation. He also showed certain contradictions in his ideas. Although he was against apartheid—the racial segregation that was in force in South Africa until 1992—in several interviews he said that there were differences between the white man and the black man. “The white man has a right in South Africa which we will not abandon after more than 300 years. The world must recognize this. I have never tried to apologize for apartheid,” he said. Barnard died at the age of 78 after taking a bath, when he was on vacation in Paphos (Cyprus). Although at first it was thought that he had suffered heart failure, the autopsy revealed that it was a severe asthma attack. It was not his beloved heart, but a disease of the respiratory tract that ended his life.